San Francisco, CA, May 9, 2012—Jack Streat is an accomplished LEGO weapons builder whose YouTube videos have over 16 million views. Now he's the author of a new book about building LEGO weapons, and he’s only 17 years old. 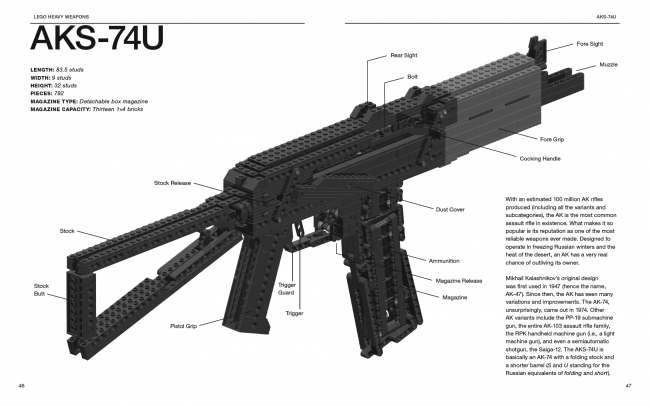 In LEGO® Heavy Weapons (No Starch Press, May 2012, 368 pp., $24.95, ISBN 9781593274122), Streat offers a collection of building instructions for four truly impressive, 1:1-scale LEGO replicas of the world's most iconic firearms. 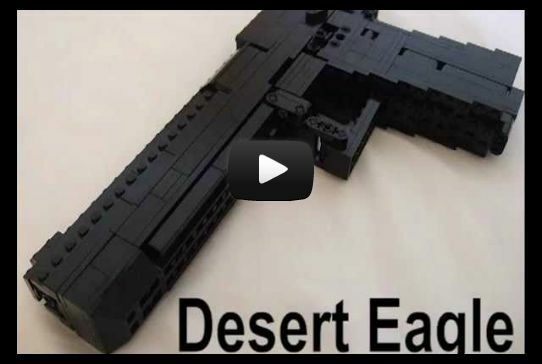 LEGO builders will learn to create a massive Desert Eagle handgun with blowback action, plus three accurate brick-shooting marvels: an AKS-74U assault rifle with folding stock, a bolt-action Lee Enfield sniper rifle (aka. Jungle Carbine), and a pump-action SPAS 12 combat shotgun. According to No Starch Press founder Bill Pollock, "Readers will instantly recognize these models from their favorite Tarantino films and videogames like Counter-Strike and Call of Duty." Pollock continues, "At last, LEGO fans can turn that pile of dusty bricks into insane weapons that they can brandish while running wild through their homes. The world may never be the same." For more information or to request a review copy of LEGO® Heavy Weapons, contact Jessica Miller at No Starch Press ([email protected], +1.415.863.9900, x110) or visit www.nostarch.com. 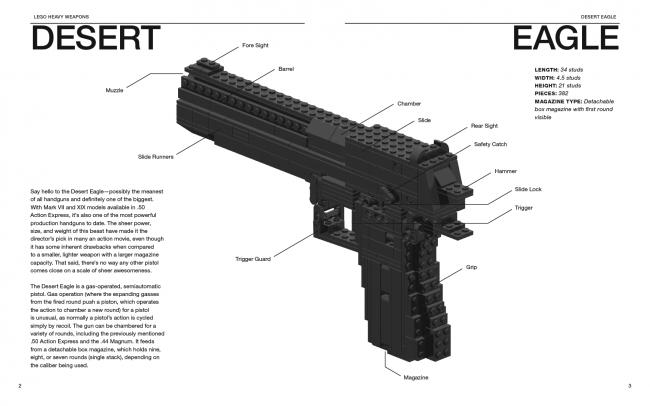 Since posting his first LEGO gun online at age 13, Jack Streat has played an influential role in the LEGO weapons builder community. In his spare time, he modifies guitars in a never-ending quest to make them as loud as possible. Streat is 17 years old. This is his first book.